Bytom ( [ˈbɨtɔm]; Silesian: Bytůń, German: Beuthen O.S.) is a city in Silesia in southern Poland, near Katowice. It lies in the central-western district of the Upper Silesian Metropolitan Union – a metropolis with a population of 2 million. Bytom is located in the Silesian Highlands, on the Bytomka river (tributary of the Kłodnica). The city has belonged to the Silesian Voivodeship since its formation in 1999. Previously it was in Katowice Voivodeship. Bytom is one of the cities within the conurbation of the Katowice urban area (total population approximately 2.7 million) as well as within a greater Silesian metropolitan area populated by about 5,294,000 people. The population of the city is 183,251 (June 2009). Bytom is located on the range "Bytom-Katowice", in the Upland of Miechowice, which is in turn a central part of the Silesian Upland. The city straddles between north latitudes 50°19′ i 50°26′ and east longitudes 18°47′ i 18°58′. It reaches 346 m (1,135 ft) at the highest point, in wildlife reserve of Segiet, plunging to the lowest point 249 m (817 ft) above sea level, in a valley of river Bytomka, giving an average altitude of 280 to 290 m (919 to 951 ft) above sea level. The city itself is not placed exclusively in the Upland of Miechowice, where only the central part of the town stands. The rest of the city reaches as far as the valleys of Drama and Szarlejka to the north, Brynica to the north and east and the river Bytomka to the south. The bedrock of the Upland of Miechowice consists primarily of sandstones and slates. The rocks are punctuated with abundant natural resources of coal and iron ore from the Carboniferous period. In the north part of the upland, in the Bytom basin lays the broad range of the triassic rocks, from sandstones to limestones, with rich ore, zinc and lead reserves. The upper layer is composed of clay, sand and gravel. One half of the coat of arms of Bytom depicts a miner mining coal, while the other half presents a yellow eagle on the blue field – the symbol of Upper Silesia. Bytom is one of the oldest cities of Upper Silesia, originally recorded as Bitom in 1136. It received city rights from prince Władysław in 1254 with its first centrally located market square. The city of Bytom benefited economically from its location on a trade route linking Kraków with Silesia from east to west, and Hungary with Moravia and Greater Poland from north to south. The first Roman Catholic Church of the Virgin Mary was built in 1231. In 1259 Bytom was raided by the Mongols. The Duchy of Opole was split and in 1281 Bitom became a separate duchy, since 1289 under overlordship and administration of the Kingdom of Bohemia. Due to German settlers coming to the area, the city was Germanized. It came under control of the Habsburg Monarchy of Austria in 1526, which increased the influence of the German language. The city became part of the Kingdom of Prussia in 1742 during the Silesian Wars and part of the German Empire in 1871. In the 19th and the first part of the 20th centuries, the city rapidly grew and industrialized. Before 1939, the town, along with Gleiwitz (now Gliwice), was at the southeastern tip of German Silesia. The Bytom Synagogue was burned down by Nazi German SS and SA troopers during the Kristallnacht on 9–10 November 1938. During World War II, the Beuthen Jewish community was liquidated via the first ever Holocaust transport to be exterminated at Auschwitz-Birkenau. 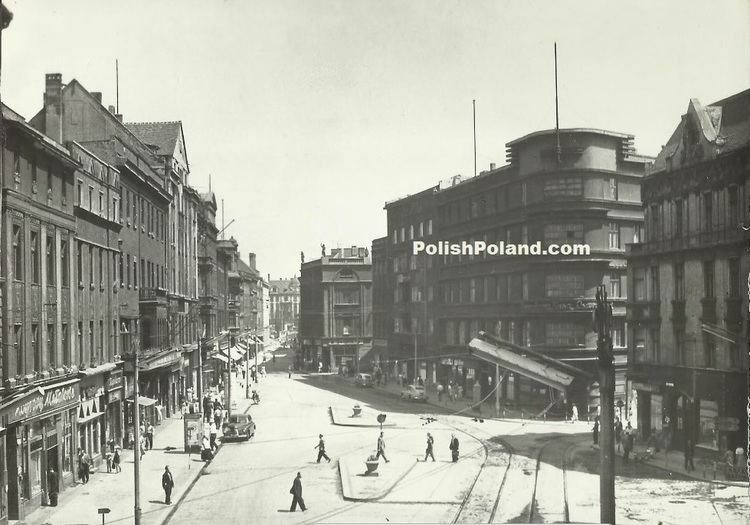 In 1945 the city was transferred to Poland as a result of the Potsdam Conference. Its German population was largely expelled by the Soviet Army, and populated with repatriated Poles from the eastern provinces annexed by the Soviets. Some of the indigenous Silesian population remained. Trade is one of main pillars of the economy of Bytom. Being a city with long traditions of commercial trade, Bytom is fulfilling its new postindustrial role. In the centre of Bytom, and mainly around Station Street and the Market Square, is the largest concentration of registered merchants in the county. In 2007, Bytom and its neighbours created the Upper Silesian Metropolitan Union, the largest urban centre in Poland. Bytom is home to Polonia Bytom which has both a football and an ice hockey team (TMH Polonia Bytom). Its football team played in the Ekstraklasa most recently from 2007 to 2011, winning it twice in 1954 and in 1962. Bytom is also home to another former Polish champion Szombierki Bytom which won the title in 1980, and is one of the oldest clubs in Poland. Among Bytom's art galleries are: Galeria Sztuki Użytkowej Stalowe Anioły, Galeria "Rotunda" MBP, Galeria "Suplement", Galeria "Pod Czaplą", Galeria "Platforma", Galeria "Pod Szrtychem", Galeria Sztuki "Od Nowa 2", Galeria SPAP "Plastyka" – Galeria "Kolor", Galeria "Stowarzyszenia.Rewolucja.Art.Pl", and Galeria-herbaciarnia "Fanaberia". 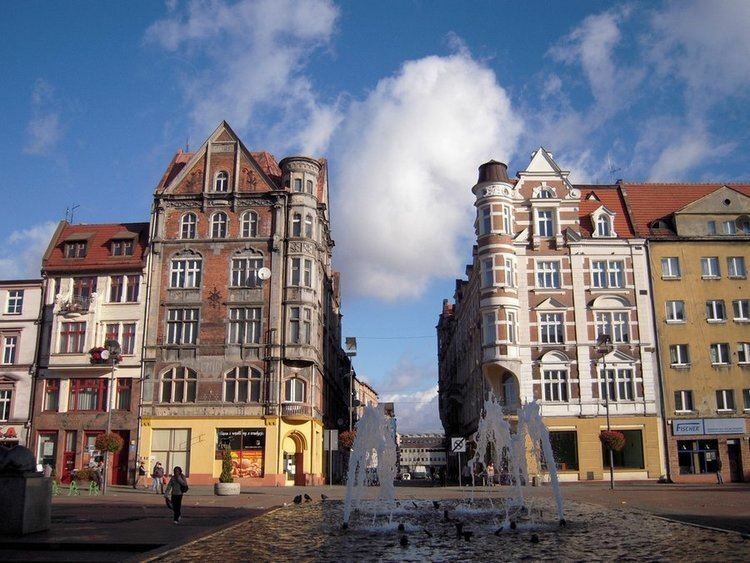 Bytom is a place from where Confederation of Silesia – Polish Bonapartists originates.